Site Build It - Your Dream Career On A Successful Web Business. Turn Your Passion, your hobby, your most interested ideas into your own income generating website. "Creating Credibility For Yourself Before Selling..."
"Know Your Readers and Know What They Wanted, Not What You Wanted! " "Slow and steady. The way of the tortoise leads to a tortoise success factor ...."
Probably now a days, too many Get-Rich-Quick scams cheating people in internet market, SBI like a pearl in the sea, I picked it without any hesitate. Two years since then, I saw my web pages ranked No.1 in Google SE by using the keyword Logan Airport Job | Cover Letter Airport | Import Export Contract Terms, ect. And many of the other pages are ranked top 10 in major Search Engines. This is my first and only web site I created, from ZERO ground, ZERO html technique, even ZERO English writing skill (English is not my first language). This website is now the Top 1% of 100 million active sites on the Web. SiteSell Services use Site Build It! 's proven C T P M process to build you a Content-packed Web site which works to bring Traffic to your site. That traffic can then be PREsold on your recommendations, suggestions and offerings and this "warmed up" receptive reaction ultimately leads to Monetization. C T P M is the core that sets Site Build It! and SiteSell Services apart. The first thing that when you sign up for SBI is that you’ll be doing a lot of reading. This is a ten days course. You can do it by your own pace if you don't have enough time. It took me a few months to get the big frame done. You’ll receive SBI's step-by-step Action Guide, which breaks down the actions you need to take day by day. Think of this as your textbook on how to build a successful online business. They even have video versions of many of the lessons, so if you’re a visual learner, you can watch instead of read. Page creation is as simple as riding a bike with its training wheels still attached. No need to know HTML. The block-by-block builder trains you how to write a page that is both "Search Engine and human effective." It's simple, do-able and most importantly, effective site-building. The block-by-block builder is perfect for beginners, but even many "advanced" users should start with this tool. It's an excellent way to break bad habits! 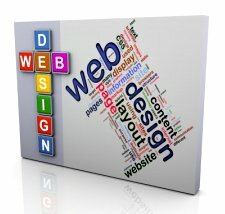 When it's time to create your site's Look & Feel, SBI! provides fully customizable, easy-to-use templates. You can choose and create a professional-looking presentation, even if you have no design skills. And if you're a designer, you can create and upload your own. This page shows a range of styles. The Significant Benefits By Using SBI! Compare SBI with the others. Many functions are completely automated, and some tools work for you in the background even when you aren't aware of them. For a instance, if you update a page on your website, SBI will automatically regenerate your Google and Yahoo sitemaps. You don't even need to worry about it. If this was hosting alone (which every website needs), then you are paying less than $25 per month. This would not be a bargain for hosting, but then again it is rather reasonable. 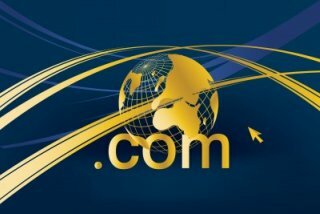 This also includes the price of the annual domain (this would cost you about $10-$20 per year). Now you add the price of a tool like Brainstorm It! (this would cost you $329/year at Wordtracker with a discounted annual rate). The education! Most of this is free to you NOW, but in general there are plenty of companies that will sell you similar information anywhere from $50 to over $1000! The content management system! Some charge $300 just for this (no hosting, tools, domain names, resources, forum, or training). To have a freelancer build you a site would cost thousands. This is a great value, especially for internet newbie. No need to settle for an expensive fancy "brochure site" that doesn't generate any traffic. SiteSell Services will get the Web working for you. It's time for you to own a Web site that drives business! Read this Case Studies to know further detail about Site Build It! picture. Of course Site Built It! comes with a money-back guarantee, You can test drive it for 30 days and get a full refund if you don't like it. If you register a domain name through SBI, you can even keep your new domain for free if you later decide to quit. That's a better than money-back guarantee since you get a free name no matter what.